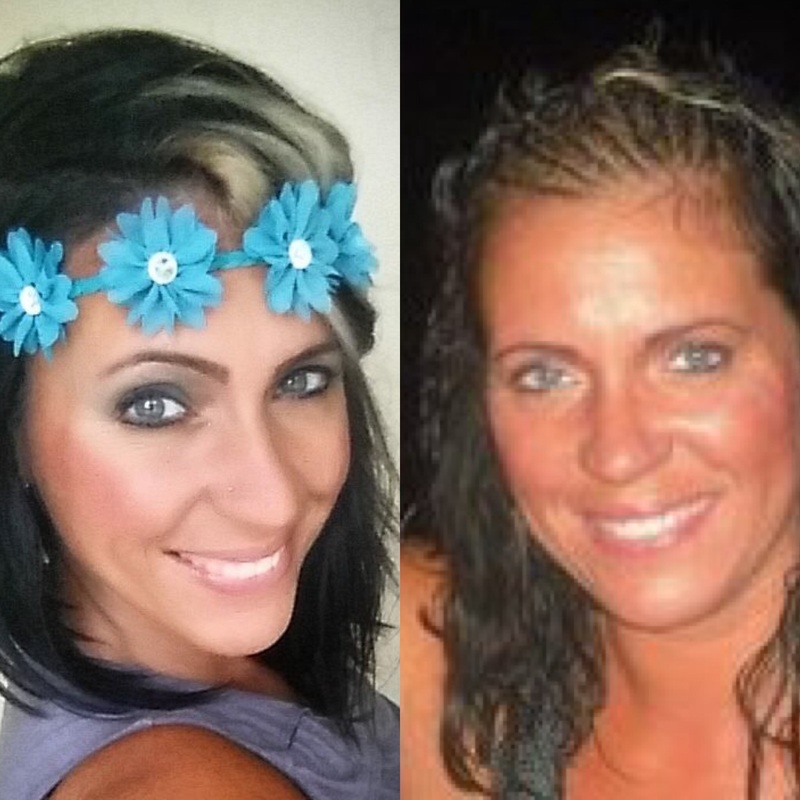 ADOPTEE IN RECOVERY VICTORY!- 3 YEAR SOBRIETY! 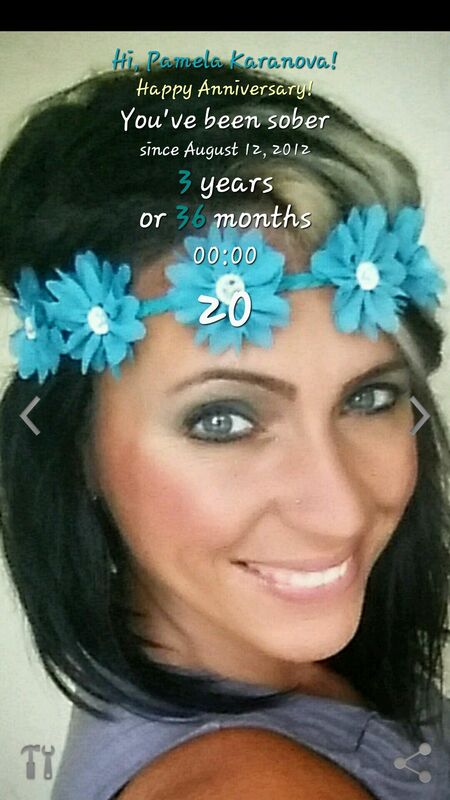 Well, if you are reading this you can help me CELEBRATE ringing in my 3 year sobriety milestone! Never in a million years would I have ever thought I would be sober living in recovery, let alone reach a 3 year milestone! Pretty AMAZING FEELING! God gets the glory! I know, it’s not 5 or 10 years, but I remember way back when I didn’t think I could live without alcohol. I was a full time runner, running from the pain from my past. Let me give you a little history. I started drinking when I was around 12 years old. I found an escape by drinking alcohol. My at home life was far from normal, and alcohol seemed to take my pain away. I was suffering from abandonment & rejection issues from being adopted, but I could never share my pain with anyone. Let’s face it, in adoption if you don’t have happy warm fuzzy feelings your feelings really aren’t welcomed. I was always told to be “Thankful” my birth mother didn’t abort me, or that I was adopted so I could have a “Better Life”. Deep down, I was lost, isolated, and alone and my heart was broken. I waited for my birth mother to come find me, but she never showed up. I was admitted to drug and alcohol rehab by the time I was 15. It didn’t do any good, because I didn’t want to be there. I was forced. As I grew up drinking was a way of life for me. I partied, a lot. I loved going out and hanging with friends. I experimented with different drugs. My drug of choice was MDMA (ecstasy). I had no shame in drinking and driving. I went to jail and got a DUI that cost me $355 a drink that night. I’m not proud of any of these things, just sharing where I have been! I was running from the truth & I had no tools to heal. I kept avoiding my reality, and I never faced the TRUTH about my adoption experience. This was based partly because I didn’t have all the pieces, and partly because I used alcohol to numb my pain. The other part was an internal struggle I felt because I felt a totally different way than everyone else felt about being adopted. I wasn’t thankful. I was brokenhearted. My feelings weren’t welcome. I was in a lot of pain not knowing who I was or where I came from. To top it off lies and deception kept me from finding my truth for many years. This stalled my healing. I couldn’t TRULY heal because my mind was distorted. August 12, 2012 everything changed. I went through a life changing event. My eyes were wide open and I made the decision to throw in the towel on my drinking habit and I started a recovery program. I knew it was time. I started AA at first. It’s a great program but I found out about Celebrate Recovery and it was clear that was where God wanted me. October 2012 I walked through those doors a broken woman! I had nowhere to turn, and I only knew very few people who lived their lives in recovery. One was a faraway friend, and another was my friends son & I was twice his age. It’s amazing that God used both of them to show me the ropes in the beginning of a new way of life for me. I can’t lie. I was scared. I was nervous. I felt alone. I was broken. God swooped up and changed everything! It wasn’t long before I had a new found family and everyone loved me despite my flaws. This “SAFE PLACE” was the first place in my life I was able to freely share “How it feels to be adopted” and not have anyone judge me or tell me how to feel. 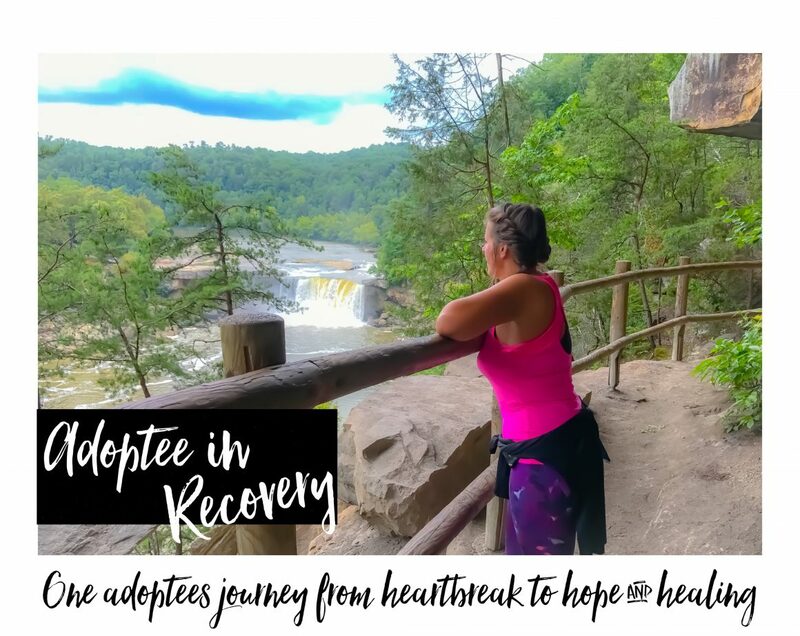 I was able to share my hurt, my pain, my broken heart, my tears, my struggles, and all the things in between that come with being on a healing journey to wholesome. I was able to identify my root issues of abandonment & rejection from my adoption experience, and move forward with acceptance, and healing. This was the first time in 40 years my root issue was identified and I saw counselors my entire life! ABANDONMENT & REJECTION FROM BEING ADOPTED ARE MY ROOT ISSUES. No more denying. WOW! 3 years later, I’m in leadership at Celebrate Recovery and I co-lead a small group for women with chemical dependency issues. Who would have ever thought God would use me in that way? The most amazing part of me is the fact that my kids are my #1 fans. They have seen the changes, and because of my changes their lives are changed. Celebrate Recovery has given me the tools to become a happier healthier mother, and one day grandmother. These are the reasons I’m living today! I always say God saved me in just enough time to save my kids. He gets the glory! 2 Weeks Ago 4 Years Ago. I can tell you I’m not where I need to be, but I’m sure not where I used to be. God is using my biggest misery as his biggest ministry. I’ve prayed for grace, and I’m able to share my adoption experience from a place of peacefulness. I still have issues, lord do I ever. But I have hope in the future, and I know God heals. He healed my broken heart, and he’s put some spiritual mothers in my life who I adore. They know who they are. The past few weeks have been extremely difficult due to my birthday coming up. Not even going there, I know my fellow adoptees get it. With my sobriety birthday the day before, I felt the need to write a VICTORIOUS BLOG POST to let all my fellow adoptees know that THERE IS HOPE IN JESUS. HEALING IS POSSIBLE. If you are struggling with using substances of any kind, I promise you it’s only delaying your healing. The great thing is there’s a Celebrate Recovery in almost all cities in the USA, and it’s even in other countries. Leave me a message if you are an adoptee and you are struggling with chemical dependency issues. I would love to get to know you and hear your story. Congratulations, Pamela! Between maintaining a page where adoptees can freely speak their truth, creating a new FB profile, and celebrating your three-year anniversary, you are one extremely courageous woman. Congratulations on three years sober. Thank you beauty!!! It’s definitely been a HUGE step moving forward in my recovery journey, and in life as an adoptee in general. No more hiding behind a pen name, and no more apologizing for how I feel. I am who I am, and I make no apologies for it! So blessed to have you in my corner, as a sister and fellow adoptee! ❤ Thank you for your support! Congratulations, Pamela! You are victorious and giving God the glory, now that’s a recipe for continued success if I’ve ever heard one, I understand all too well the sorrow around birthdays many adoptees like us find ourselves blanketed in. I’ve found what works for me is to acknowledge it, feel it, give it to God, and let it go. It passes. Your journey has been amazing and that you are using your experience to help,others is awesome. Keep on keeping on!! Congratulations, Pamela! That is very courageous of you to share your personal story to help others.